Lebanese and international fashion designer Elie Saab created a stunning collection of wedding dresses in 2019, Elie Saab bridal dresses are known for their intricate embellishments and grand silhouettes. If you loved the previous Elie Saab bridal collections you will love this fall 2019 Elie Saab wedding gowns. For his fall 2019 wedding dress collection Elie Saab showed off his signature details: lace, embellishments, waist-defining belts, and there was a new emphasis on transparency and symmetry. 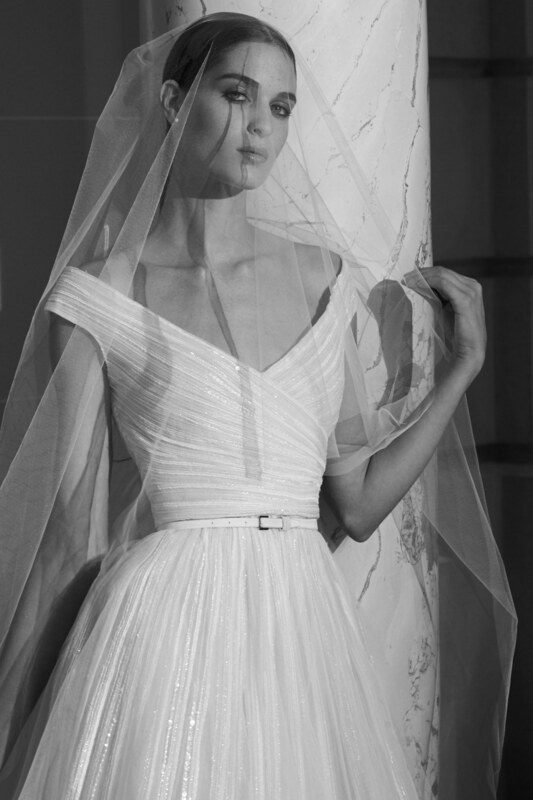 Elie Saab also revealed his first short wedding dress, which also featured an elegant cape. The collection also featured an off-the-shoulder, bateau-neckline midi-length dress.